The band’s third long player, it is the quintessential Supertramp album, and the first to feature the classic lineup which held for a decade – until one half of the creative engine of the band left in the early eighties. Crime of the Century is a product of the band’s two main protagonists, Swindon-born Rick Davies and Portsmouth-born Roger Hodgson. Davies was the keyboardist, but ironically the piano was Hodgson’s favourite instrument; he found himself playing bass simply because the band couldn’t find anyone more suitable, despite extensive auditioning. What this meant was that there was strength in depth, with both men versatile instrumentalists and both playing leading roles in songwriting, singing and playing. 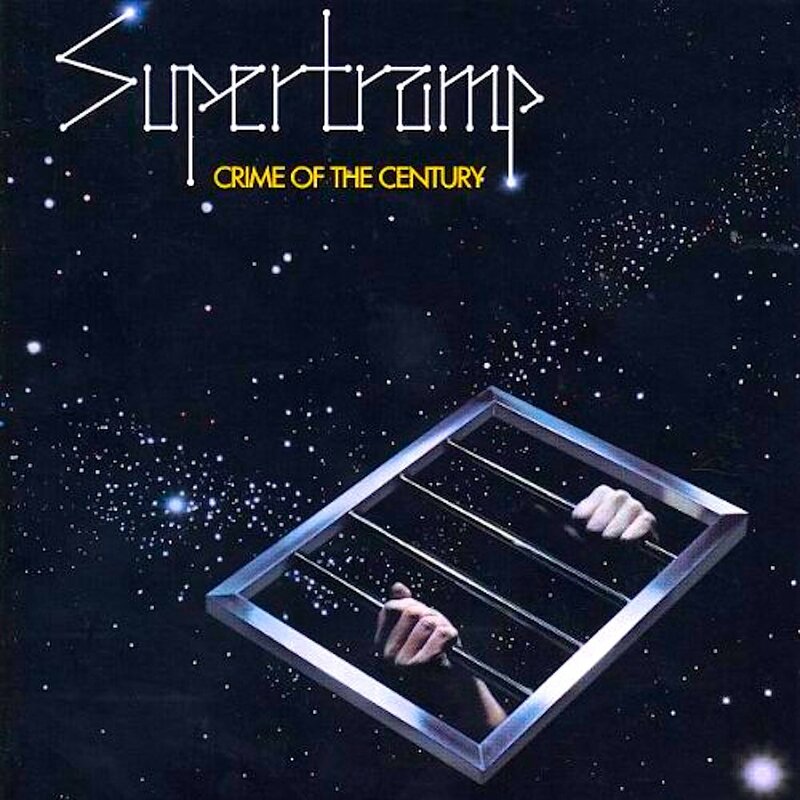 In the UK the album was most famous for its single Dreamer – one of several fine Roger Hodgson compositions – which had heavy radio play in the mid-seventies, but every song on Crime of the Century is excellent in its way. In the US, Rick Davies’ Bloody Well Right made its mark and saw the LP sales get certified Gold by 1977. Heavily driven by Hodgson’s piano work right through, the album also sports some superb guitar solos, fine string arrangements and harmonica work. The Ken Scott production is superlative, a state-of-the-art mid seventies affair that isn’t too lavish or intrusive, yet is slick and multi-layered; the general recording quality is excellent, at the time it was one of the best ever. The first pressing on A&M Records is excellent, but in 1977 it was bettered by the Mobile Fidelity Sound Lab pressing – it was the first pop LP ever to appear on this label. Although the band ended up selling sixty million(!) LPs over a decade, perhaps the reason Crime of the Century never quite propelled Supertramp to critical greatness was that it was too straight-laced. Here was a collection beautifully crafted songs immaculately played and produced – but this in turn means it lacks a certain edge. Nor did the band members themselves possess the self-destructive tendencies of contemporaries like Floyd, The Who and Genesis – so there was less for the all-important music press of the day to wax lyrical about. In truth, this is sophisticated art rock – closer to Fleetwood Mac’s (subsequent) Rumours than Pink Floyd’s Meddle. However you frame it though, this is a special record that’s too good to be forgotten.